Richard Paul, head of residential valuation, Cluttons UAE and Paul Preston, director and head of Middle East, IP Global, lead the debate. growth was beyond sensible levels. By reducing loan-to-value (LTV) levels for expatriates and nationals, the Central Bank looks to regain some control from the hands of the local and international lenders, who to date, have battled it out for market share – offering more attractive terms, thus potentially boosting property prices beyond sustainable levels. However, restrictive legislation will deter ‘first time buyers’ from the market. First time buyers looking to invest and settle in the UAE are the type of investors any property market needs. Increasing LTV ratios to unrealistic and unreachable levels will ultimately convince first-time buyers to buy elsewhere, perhaps in their domestic markets. Discouraging investors who look to make fast profits by ‘flipping’ property is a good move, but we cannot lose first time buyers, the backbone of our property market. In conclusion, the upcoming mortgage law in the UAE will indeed slow the revival of Dubai’s property market but it is a cautious and restrictive control that must be respectfully appreciated. Personally I don’t believe that the new mortgage cap will slow the market. The UAE has a lot of liquidity in the marketplace and the story has always been that the big investors in the market have always invested with cash, with very few of them taking finance from banks. That said, the more speculative investors in the market place will now not be allowed to buy properties with just 20 per cent down payments and leverage the other 80 per cent which I feel is a good thing. Historically the ‘speculative’ investors have driven house prices to ridiculous levels due to volumes of transactions. In reality, this is the last thing we want to see and live through again. We want a market where growth is consistent, not up 30 per cent one year, then down 70 per cent the following year. I personally believe that the new law will help evolve Dubai into a more mature and stable market that will, in turn, make Dubai more appealing to seasoned international investors. Currently IP Global is witnessing huge investment levels going into Grade-A mature markets, such as London and New York, because these markets have a proven track record and have matured steadily. Nowadays investors want strong, stable and secure markets with full transparency, access to leverage and full title of the property. We hope, one day, Dubai will be able to offer the same steady growth as the major real estate markets, which will allow the emirate to reach its full potential as a global investment market for property. 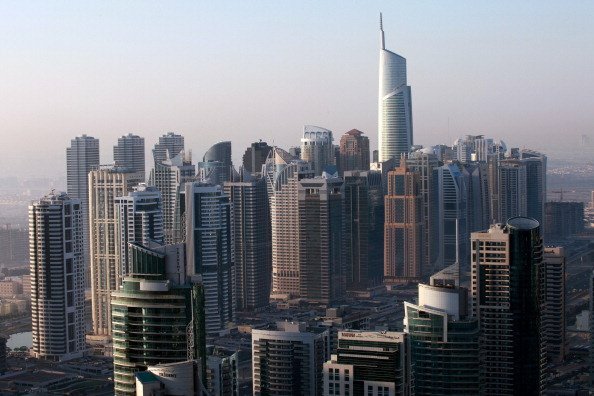 Is Dubai’s Property Market Back? Is It A Good Time To Invest In Dubai’s Property Market?